Secrets Puerto Los Cabos Golf and Spa Resort is an all-inclusive resort, settled in front of the Sea of Cortez in San Jose del Cabo. This all-suite, oceanfront getaway offers 500 spacious suites with finely-appointed amenities, full service spa, gourmet à la carte restaurants and elegant bars and lounges. 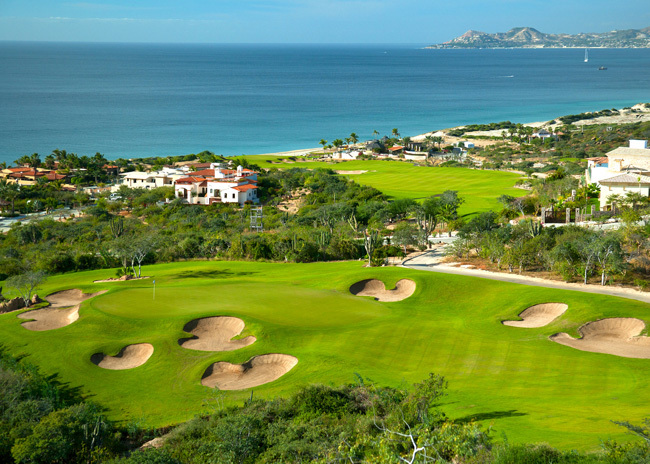 Surrounded by mountains, the Baja desert and two golf courses design by Jack Nicklaus and Greg Norman, guests will enjoy all the Unlimited-Luxury® privileges in a beautiful landscape attractive to golfers and non-golfers alike. It is a truly unique golf course and one of the most beautiful settings in the world to play. Set in the exclusive community of Puerto Los Cabos, Secrets Puerto Los Cabos Golf & Spa Resort offers adults a stunning Unlimited-Luxury® getaway in Mexico’s Baja California Peninsula. The secure community around Secrets Puerto Los Cabos provides striking views of native flora and fauna and miles of unspoiled Pacific Coast beach. The resort boasts 500 spacious suites each with a private balcony or terrace, 24-hour room service, daily refreshed mini-bar, a Secrets Box for private in-suite dining and more. For added luxury, 150 ocean view suites are reserved for Preferred Club with access to additional privileges including a private lounge, upgraded amenities and mini-bar service, pillow menu, outdoor Jacuzzi and a host of other extras. Just 30 minutes from the San Jose International Airport and a mere 10 minutes from the colonial town of San José del Cabo, Secrets Puerto Los Cabos offers guests a privileged location both within the resort and throughout the area for an ideal Unlimited-Luxury® getaway on the Pacific Coast. Experience Unlimited Connectivity and stay connected with friends and family while on vacation with the Secrets Resorts and Spas App.